Took this picture while enjoying the loft! We went and put us some plywood down!!! Hee Haw!!! Big red sure does look good Hauling this beauty! If you keep on scrolling down, you will see we have placed our sheathing ! We sure are moving along pretty quickly with this here house of ours.. We are so excited to be taking this Suburban life and saying shove it!! The tiny life is for us! Just some picks of our progress..
All of the lumber that has been used in the framing was salvageded lumber from previous jobs. We also used pallets and crates. Scrapes from our shop and 3 pieces of lumber purchased off the cull lumber from a big box store. We finished removing the camper from the trailer and have begun the rebuild. We had two treated 12′ 6×6 that we dug out at our shop. My awesome honey and his skills turned these into our floor joists. 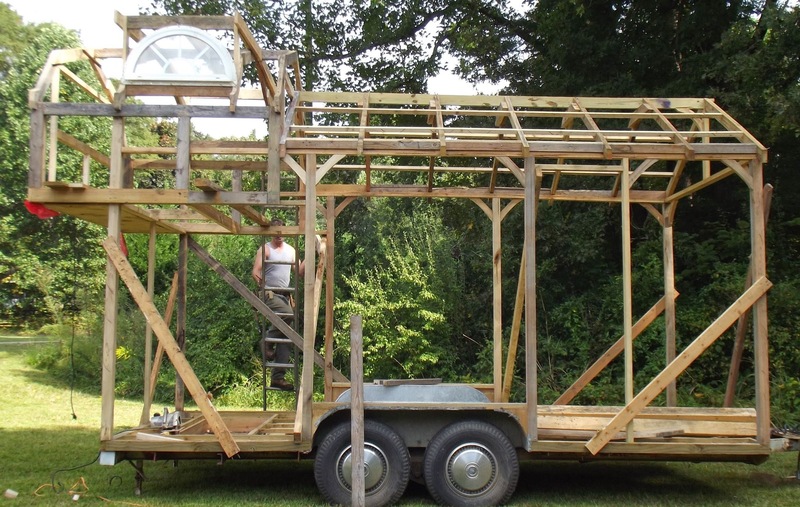 With little to no cash funds for this project we opteded to build ours out of Reclaimed Materials. We actually are going to try and build something with luck, beautiful out of what most might consider trash. 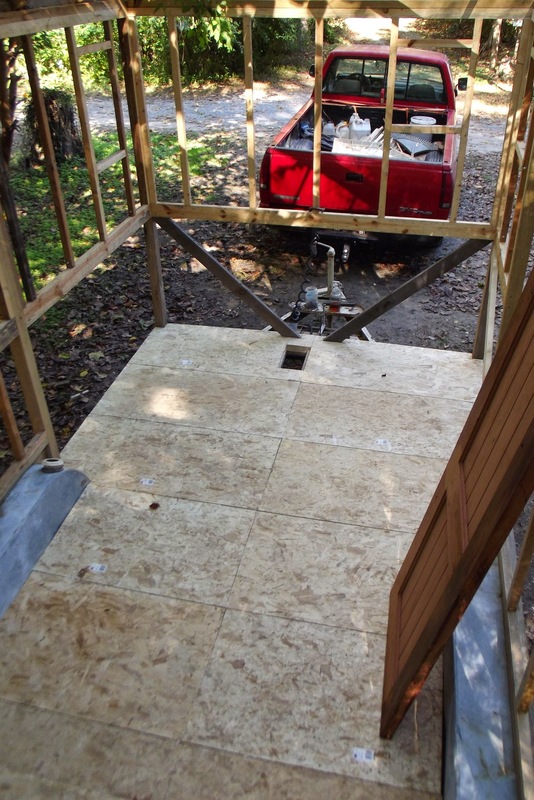 Our target budget for this build is $2500.00…. 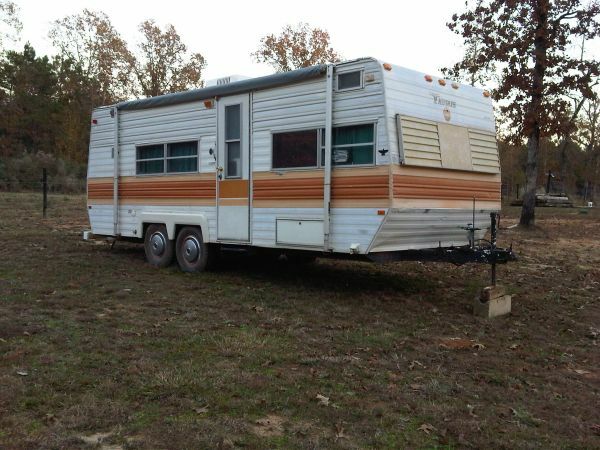 So we start the project by purchasing a 1976 19′ Taurus camper for $300 off of a personal listing from Craiglist.com. 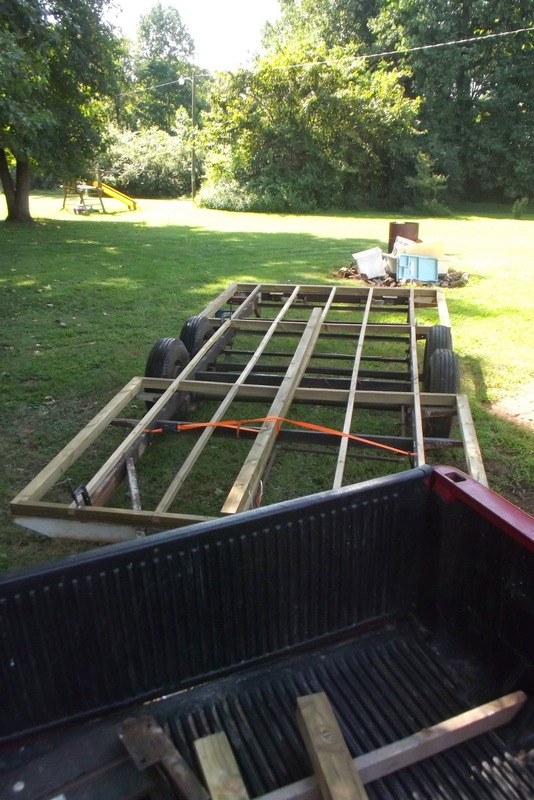 Such an ugly little trailer but Dave and I have big plans for the trailer underneath that ghastly Tin shell! !